Research shows that early and continuous involvement of the public and patients can have a positive impact on what is researched, how research is conducted and the impact of research findings (Staley, 2009). LBG’s mission is to tackle societal needs with patient-centered research. 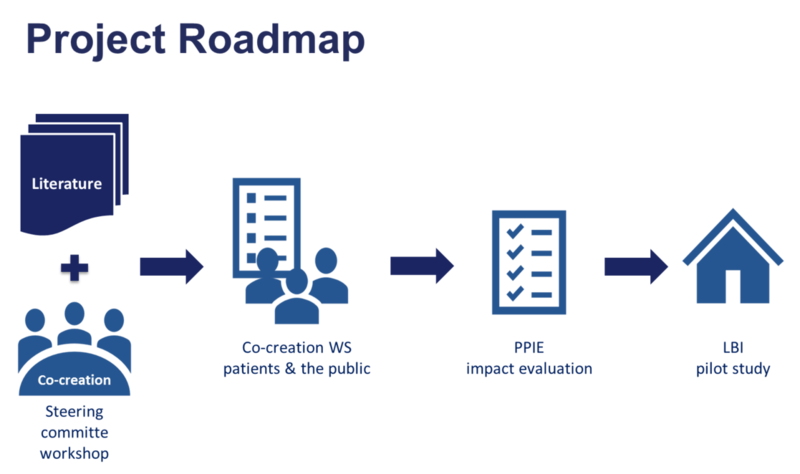 As the OIS Center, we are exploring how Public and Patient Involvement and Engagement (PPIE) principles can be implemented within the LBG research ecosystem supporting the mission. PPIE means carrying out research “with” or “by” patients and members of the public rather than “to”, ”about” or “for” them (INVOLVE). Thereby, we aim at empowering the public and people with lived experience through involving them in research. LBG projects benefit in terms of increased research quality and its impact on society: by addressing patients’ and the public’s needs and embracing their knowledge from personal experience or practice. By involving patients in their research, researchers learn from other people’s experience, which then changes their own thinking, values, choices, and actions. This leads to the commonly reported outcomes of involvement - improved research design, delivery, and dissemination and over time, the wider impacts of a changed research culture and agenda. “Participation” can thereby happen at very different levels as illustrated in the figure (modified from the Arnstein’s ladder, 1969). The higher scientists climb this ladder of empowering patients and the public, the more they except sharing the ownership and tacking on a facilitating role. To enable lay people to contribute to science, we offer training programs (e.g. SCIENCE4YOUTH) to familiarize them with research processes and metghods for taking on responsibilities in the research project. As illustrated in the pyramid of levels of involvement, “participation” of patients and the public in scientific studies or clinical trials is the most basic level – which we believe does not go far enough. Our goal is to gather and co-develop principles and methods for PPIE to engage patients and the public at every point of the research cycle ‒ from research question to dissemination. On slide 3, we have collected examples of projects that put the theory into action. Roi Shternin knows how it feels to spend lots of time in a hospital bed: when no doctor could tell him where his suffering came from and how one could treat it, he decided to empower himself. He diagnosed himself with a rare condition (POTS Syndrome) – and has set himself the goal of making healthcare accessible to anyone, anywhere. Next to his own patient journey, he brings expertise in joint research projects as well as funding enterprises and patient advocate organisations into the team. At OIS Center, he is our Patient Representative and makes sure that we keep the patient in focus. Currently, we are kicking off the development of a framework for implementing PPIE practices in research. The guideline unifies current literature, best-practice examples and co-creation with LBI researchers, patients, patient organizations, youth and other stakeholders. This systematic framework will equip the diverse LBG institutes with the “how to” for fostering PPIE in research projects. Together with the stakeholders and the researchers from a variety of disciplines, we will furthermore develop successful impact measures and a pilot study that will be systematically rolled out by early 2020 within the LBG research units. 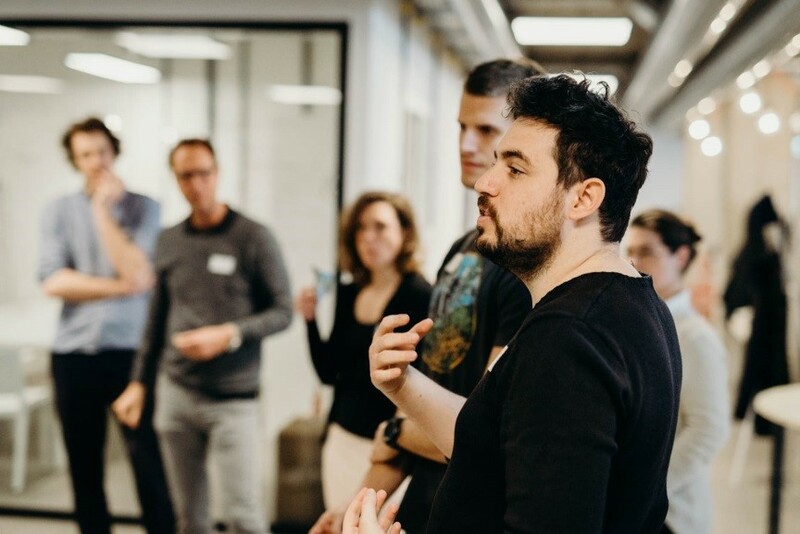 Together with the LBI of Applied Diagnostics and other alumni of LOIS, we are developing a novel tool for learning from a patient group that is numerous but rather hard to reach. Our chat bot “Ludwig” is designed to listen to the questions and solutions that chronic prostate cancer patients have. "We are building a technology – essentially a bot – that will gather information about the experience of chronic prostate cancer patients and help to direct future research funding decisions." During an exciting kick-off “Botathon” we – facilitators from the OIS Center, researchers from a variety of disciplines and students - learned together which ingredients Ludwig needs to fulfil his purpose of helping to improve prostate cancer research. Next step of the journey is the development of the prototype. "Get out of your research bubble right from the start." "We are trying to open up research processes and include patients every step of the way."